Vesteraalens AS is an innovative seafood and marine ingredients company located in Arctic Norway at 68 °N, close to one of the world’s richest fishing grounds. Today one of every four fish cought on earth is “reduced” into oil, meal and used for agriculture, animal husbandry, and, most recently, fish farming. Vesteraalens strategy is to utilize the entire fish. With a growing world population we strongly believe that what can be utilized for food purposes should go directly into food applications. The other ingredients from the skin to the liver will serve other markets. This is, in our opinion, the most ethical and environmentally direction forward. The potential for producing valuable products from a cod is huge. The fish filet and the loin will serve as premium food served at the top restaurants in the world. The roe is rich in proteins and is used in caviar or served in tins in many markets in the world. The liver is known to be a rich source of Omega-3 fatty acids. The skin of a cod is one of the best sources for marine collagen. The bones serve as a good source of minerals. The rest of the cod is a source for proteins and enzymes that have many different usage areas. It is our ultimate goal to utilize all ingredients in our own production facilities or in close cooperation with our partners, and offer high quality products to our customers. Vesteraalens produces marine ingredients from the wonderful migrating cod, known as “Skrei”. Ingredients received from the local fisheries are processed at our facilities in Sortland within a maximum of 12 – 24 hours after landing. The fisheries takes place few kilometers from the coast, with small fishing vessels, allowing the fishermens to travel out 2-3 times a day. The cod stock is managed in a long lasting partnership with Russia, and quotas are set within scientific advice. The spawning cod fisheries has been a fundamental part of the economy of the coastal population at the arctic coast of Norway for hundreds of years. 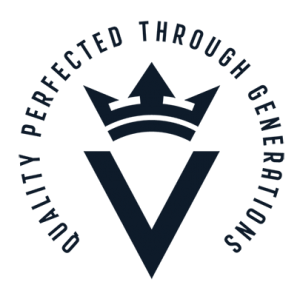 Vesteraalens raw material is received from a network of MSC (Marine Seafood council) certified suppliers that ensures documented sustainable harvesting of resources.